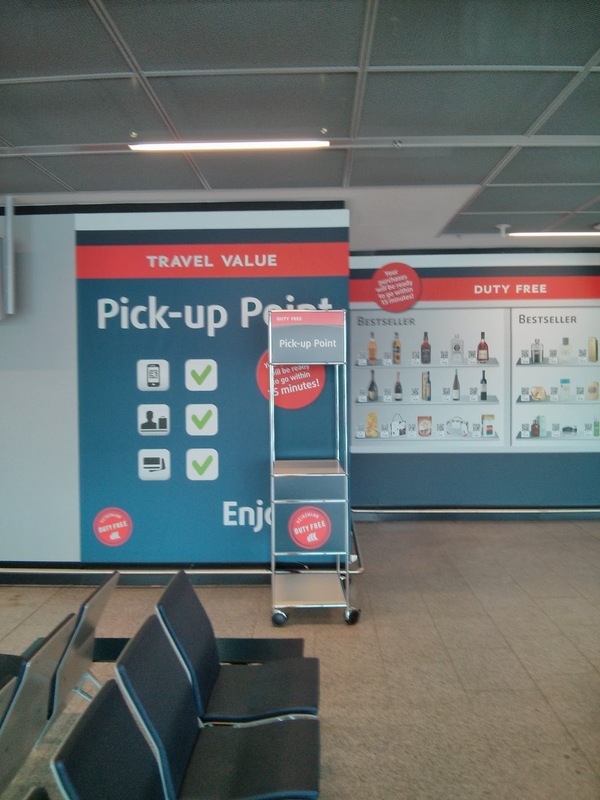 Today i had a layover in Frankfurt, Germany (a major european airport hub) on my way to Poland. One of the things that always jumps out at me as i travel, are the differences in tech, gadgets, and mobile cultures around the world. Every continent and culture has been adapting to living with smartphones in different ways. 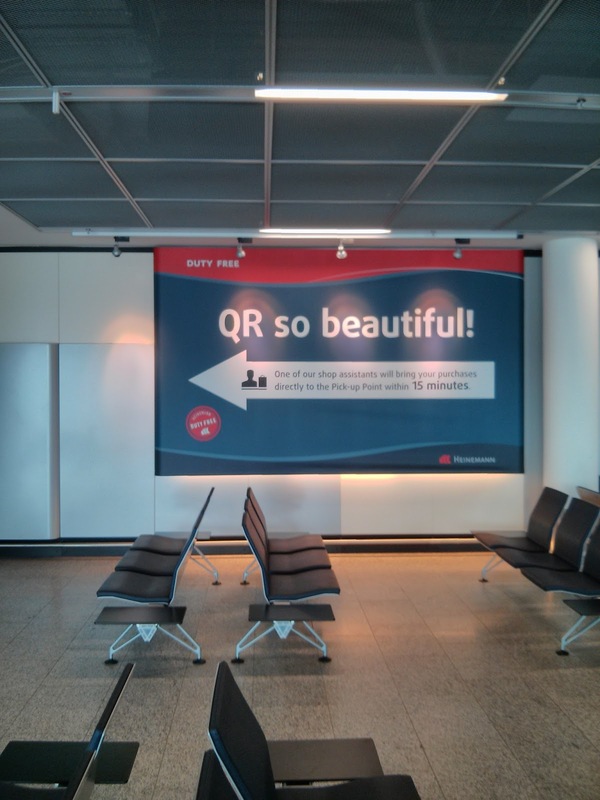 Not to disappoint Frankfurt's Airport delivered a gem of a find in terms of mobile culture. I saw my very first QR code souvenir shop. 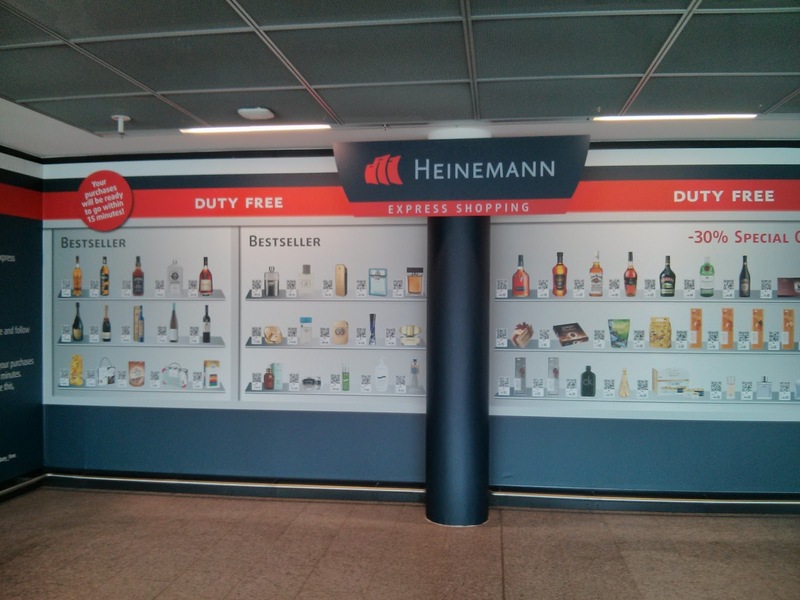 I think it was called Heinnman's ( a chain of high end souvenir shops in german airports ???). The first section invites people passing by to shop with their smartphone, by scanning QR codes. 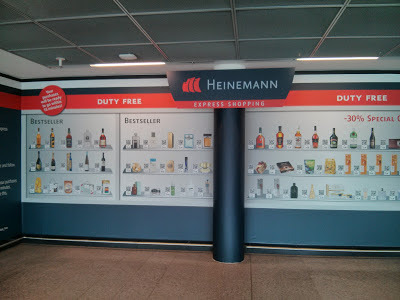 On the next section of the wall there is a mural of store shelves with lots of "Duty Free" like goods painted on the wall. Next to each product, there is a matching QR code. 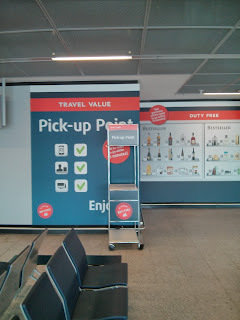 The copy on the wall promises that within 15 minutes of scanning one of the QR codes (and i am guessing completing a payment) a store attendant will deliver the product to the "Pick up point" which is the final section of the wall mural. To be fair, i did not try out the shopping experience first hand, but as an idea it is brilliant. 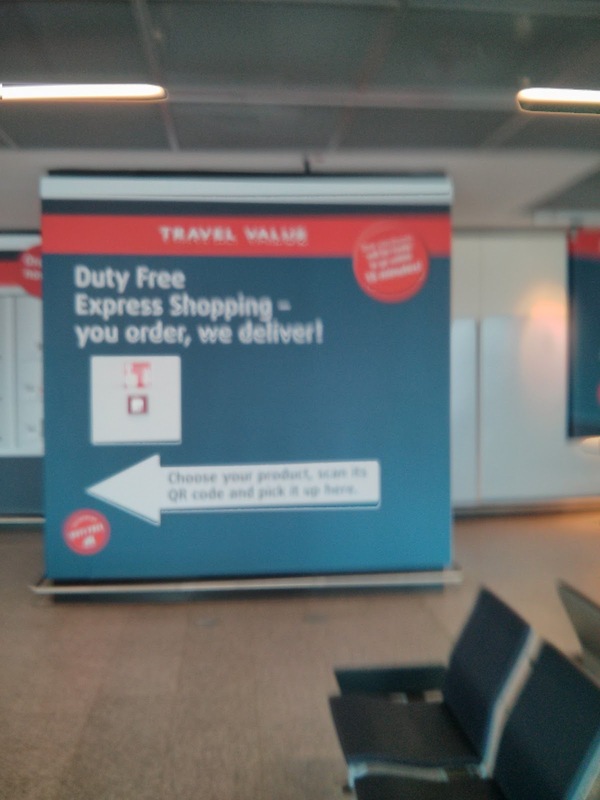 It turns a relatively dull airport waiting lobby or hallway wall into a premium store front. The real estate value of something like this is self evident, as everyday tens of thousands of people walk by with a smartphone that is capable of executing a purchase. 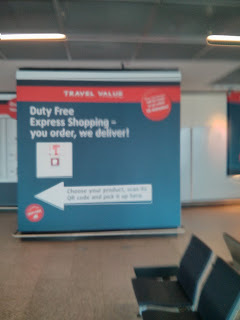 Although i would venture that purchase conversions of passerby's are not as great as a real store, but i am sure it is better than a classic banner ad on the wall.